After competing in last year’s Great Western Shootout at Orem High, American Fork boys basketball coach Doug Meacham decided he wanted to use a preseason basketball tournament to introduce his new gym in 2014. Out of that desire, the Utah Elite 8 tournament was born. 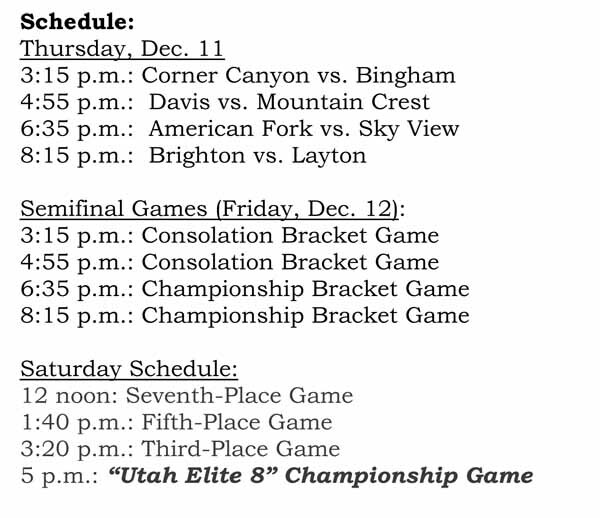 The first Elite 8 event tips off at 3:15 p.m. Thursday in the new American Fork High Fieldhouse, and brings together eight of the best teams in the state for what promises to be an exciting three days of high-level basketball. Meacham did some of the legwork himself, beginning a year ago right after that Great Western Shootout experience, and he brought in former Jordan High coach Rob Geertsen to run the event. Both Meacham and Geertsen point to the quality of basketball inside the state as a key focus that led to the launch of this event. As opposed to bringing in top teams from outside the state, they wanted to gather as many top Utah teams as they could entice to participate. The organizers also point what they refer to as a “true tournament format” as a reason for fans to head over to the home of the Cavemen to check out the action during the three days of this tourney, and the other participating coaches agree. So who are these teams? What will fans see when they show up in the Fieldhouse? “When you look at the teams competing, it is clear that we have a group of very good teams where the tournament is wide open going in,” Geertsen said. Bingham gave 5A state champion all it could handle in last year’s state quarterfinals, taking the Knights to double overtime before falling. The Miners are off to a 3-0 start this season, and their football players are not yet fully engaged. This is a team with some serious size, led by talented junior Yoeli Childs and a pair of 6-foot-8 bigs in Jared Holman and Josh Newbold. Davis was also knocked out of the state tournament by Lone Peak a year ago, and led by Gonzaga-commit point guard Jesse Wade, this year’s Darts are looking for another big year. They don’t back down from a challenge, as evidenced by the fact that they have already played both 4A power Olympus and one of the best teams in 5A, and in this tournament, Brighton. This is the first year as the Davis head coach for Chad Sims, as he replaces long-time head man Jay Welk, who retired after last season. The host team, American Fork, has to be considered one of the favorites to collect the big trophy on Saturday night. The 3-0 Cavemen opened the new Fieldhouse with an impressive victory over defending 4A state champion Bountiful. A year ago, American Fork had twin towers of its own, but those big men have graduated, and guards Brendan Bailey and Spencer Johnson are now the primary focus. That has changed the approach a little bit for Meacham. Another of the teams everyone will be watching this weekend, and all season long, is Brighton. 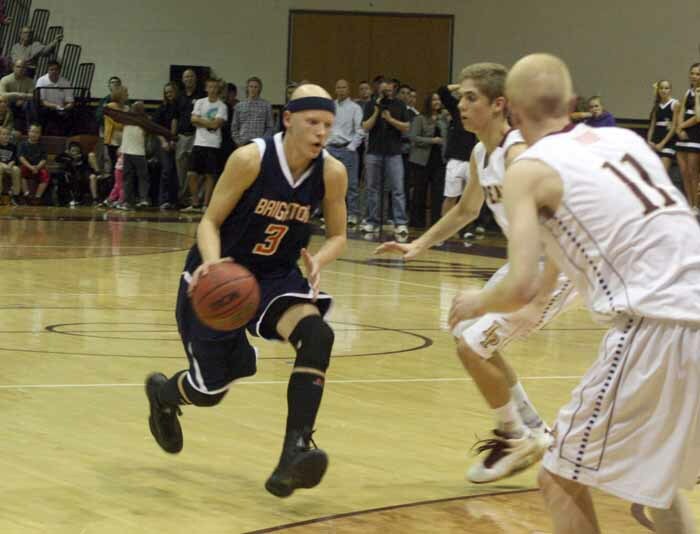 The Bengals are among the favorites in this year’s 5A field, and with high-scoring guard Brock Miller leading the way, they are explosive on both ends of the floor. One of the highlight-reel players in this field is Jarriesse Blackmon of Layton, and this is another team that believes in testing itself outside of region play. The Lancers have lost four games so far, but they took Lone Peak to the wire in the Knights’ gym, and have also faced highly-regarded Copper Hills, Mountain Crest and Bountiful. Now, they will open this tournament with Brighton. That’s five tough games to open any season. 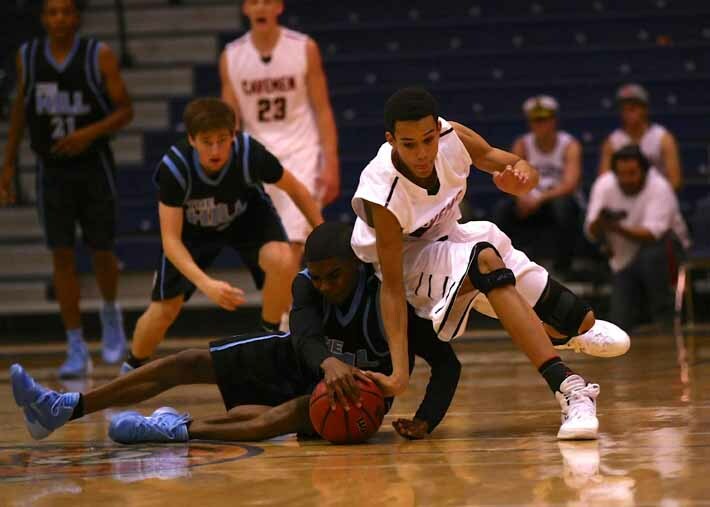 Corner Canyon, in its second year as a school, is the biggest unknown in the tournament. 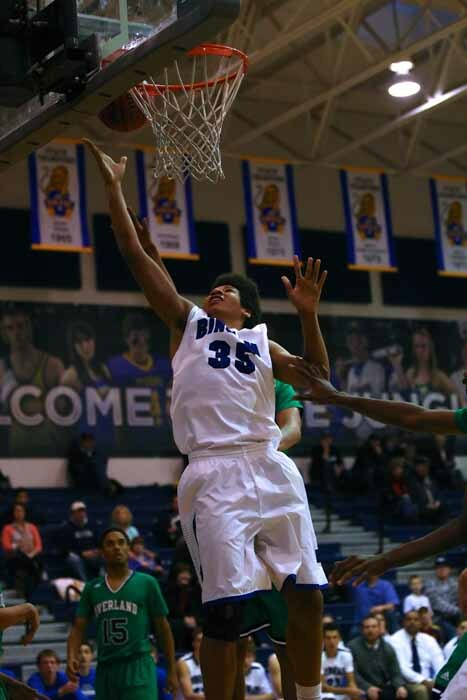 The Chargers are led by 6-6 forward Brayden Johnson and they may be a 4A sleeper this season. If people were snoozing on Mountain Crest coming into the season, they might be wide awake now. The Mustangs are led by sophomore star Jaxon Brenchley, and while they have picked up a couple of tough early losses this season, it’s the two wins that get your attention. Mountain Crest has knocked off both Layton and Timpview, regarded as one of the top 4A teams this season. 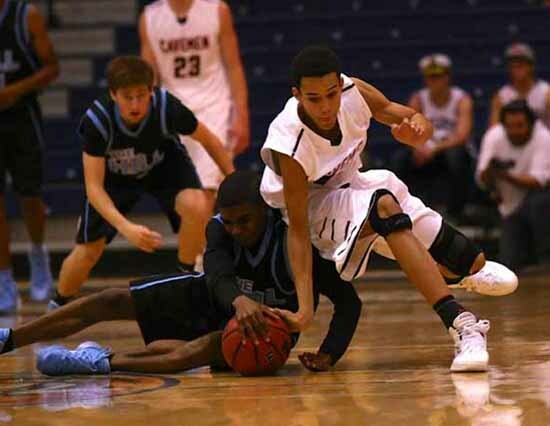 A year removed from its 2012-2013 state championship, Sky View is building back up at this point, and this tournament might be just the place for the Bobcats to grow a little bit as they look at the challenges of a difficult Region 5 schedule that lies ahead. It is hard to guess which team will be left standing when the gym is cleared out Saturday evening, but as Meacham is quick to point out, it’s the players that make this a tournament worth watching. “What makes this a special and unique event is the fact it is a true tournament, and a champion will be crowned at the end,” Geertsen said.